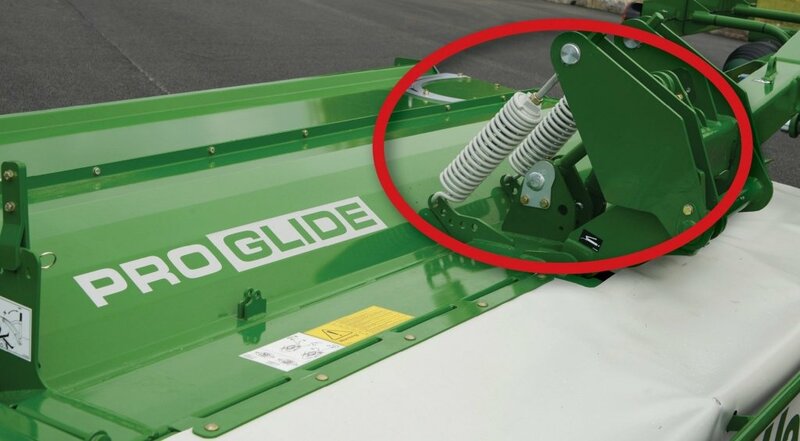 At Agritechnica 2015 in Hannover, Germany, McHale launched the McHale Pro Glide Mower Range to the world market. 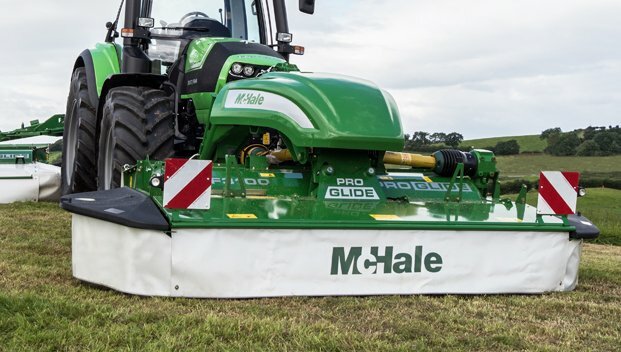 McHale exhibited three new products from this range; the McHale Pro Glide F3100 Front Mower, the R3100 Rear Mower and the B9000 Combination Mower at stand B22 in Hall 27. 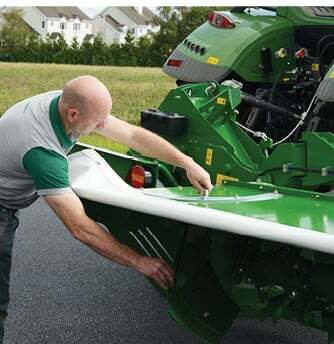 All Mowers are fitted with 3 metre cutter bars with tine conditioners and benefit from a number of novel features which result in better ground following ability and quicker reaction times to changes in ground conditions. 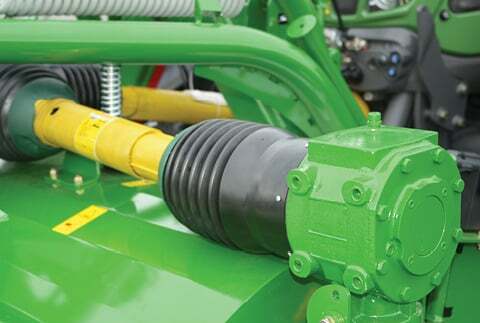 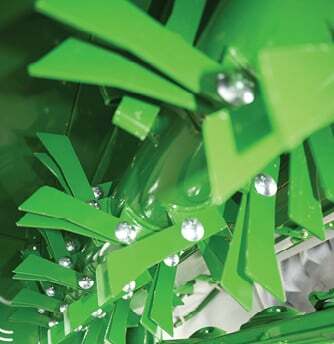 To achieve the maximum performance and results from a front and a rear or combination mower the cutter bar and mower suspension works together to deliver uncontaminated forage. 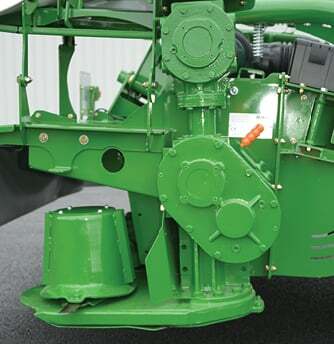 The McHale Pro Glide R3100 and B9000 mowers comes standard with unique patented ground following technology, hydraulic ground pressure control and heavy duty bed design which make the Pro Glide a smart choice for farmers and contractors alike. 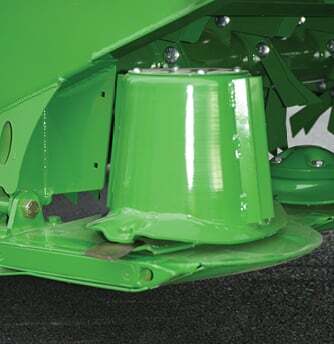 McHale have developed a unique patented ground adaption technology which delivers 3 dimensional ground contour tracking for its Pro Glide B9000 combination mower. 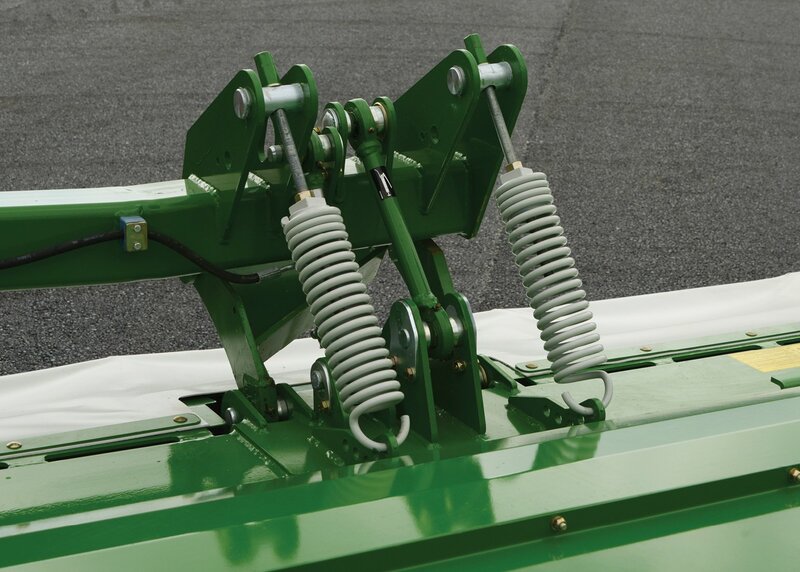 This allows the mowers an arc of movement of 17° from left to right and also allows the mower to move forward and back 12° to adjust to changes in ground conditions. 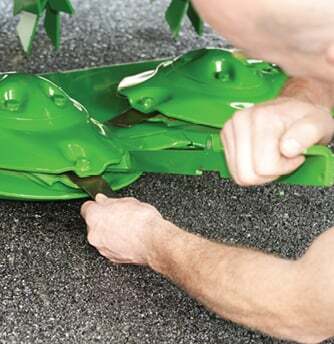 The Pro Glide B9000 Combination Mower are fitted with patented ground adaption technology, which allows the bed to move back and up if the bed encounters small obstacles. 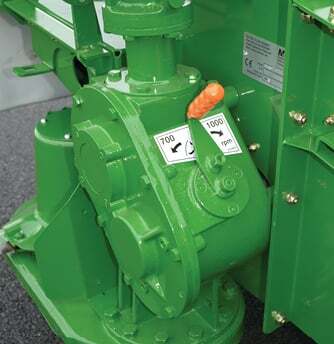 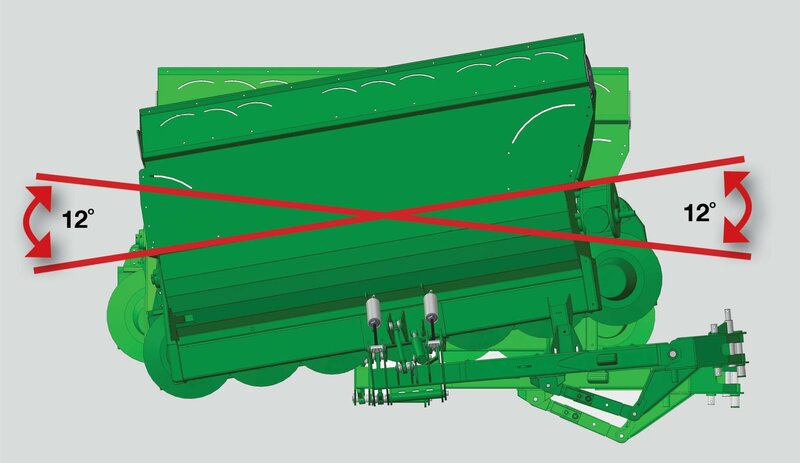 This saves time and maximises throughput which results in higher mowing speeds being able to be achieved without the interruption of having to reset a break back protection. 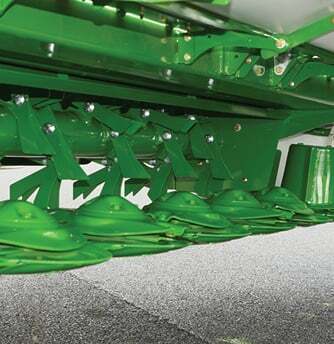 On the Pro Glide rear mowers, the cutter bar ground pressure can be set from the tractor cab. 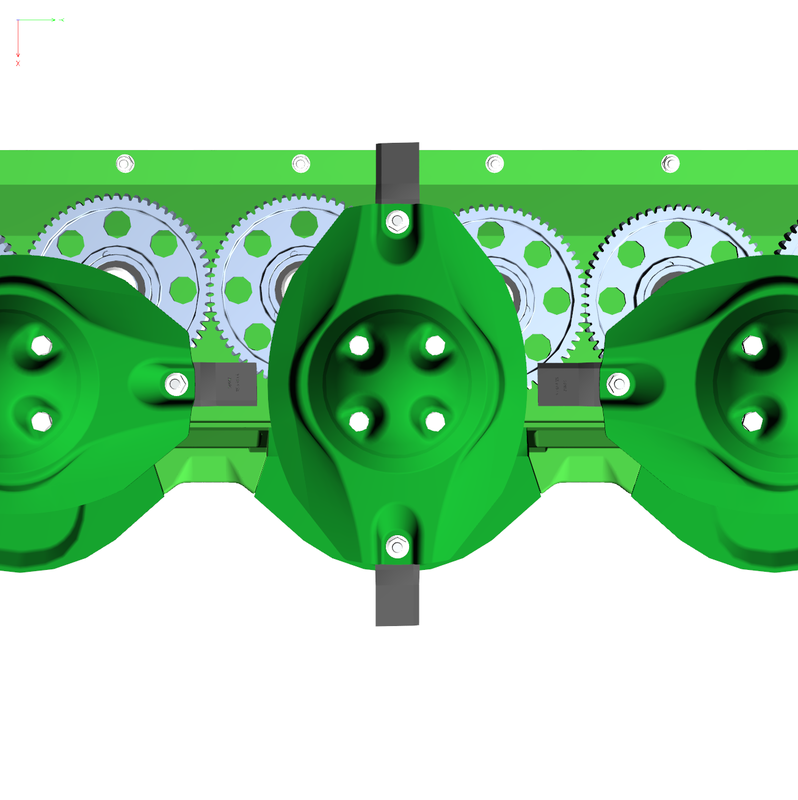 The working pressure is visually displayed on two clocks which are mounted on the headstock. 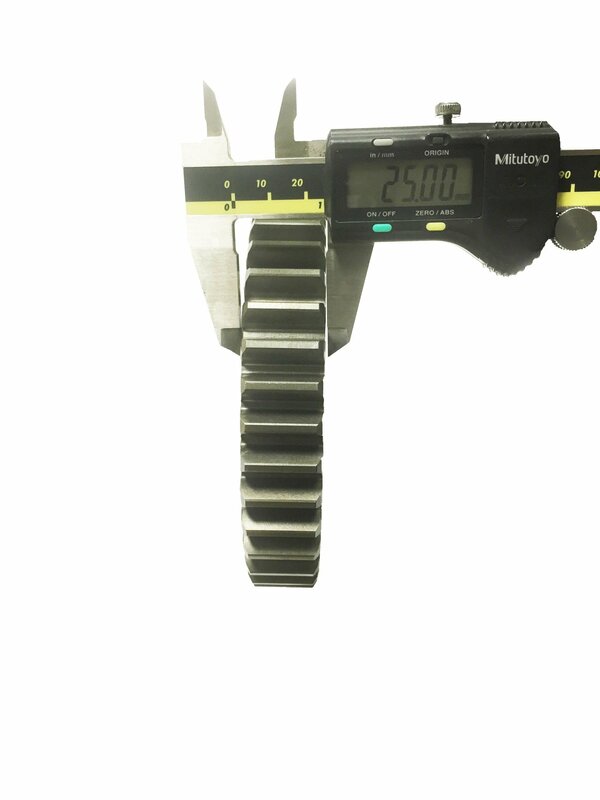 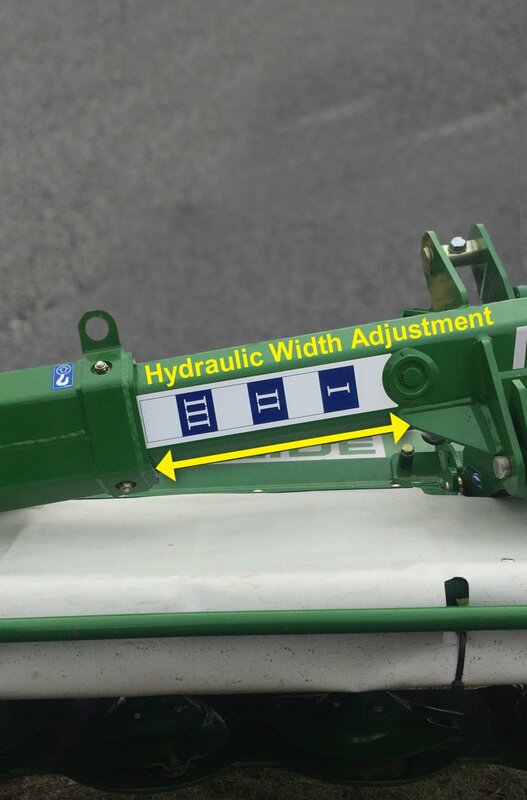 Hydraulic Width Adjustment is available as an option on the McHale ProGlide B9000 combination mowers. 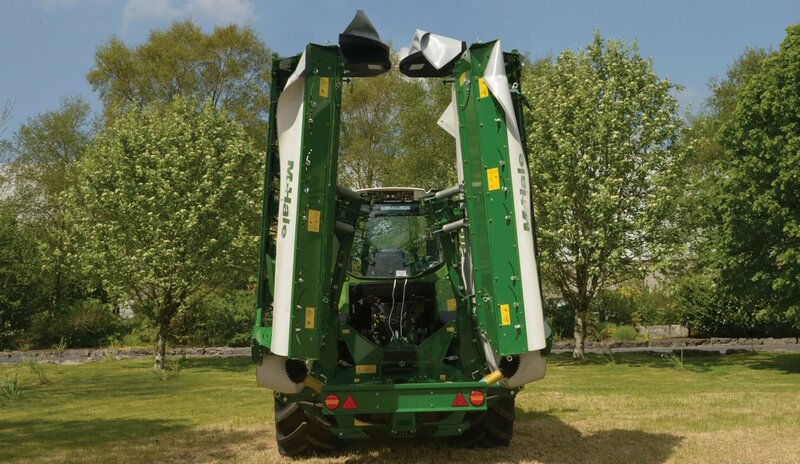 The operator can hydraulically adjust the width position of the rear mowers to eliminate striping on slopes and curves. 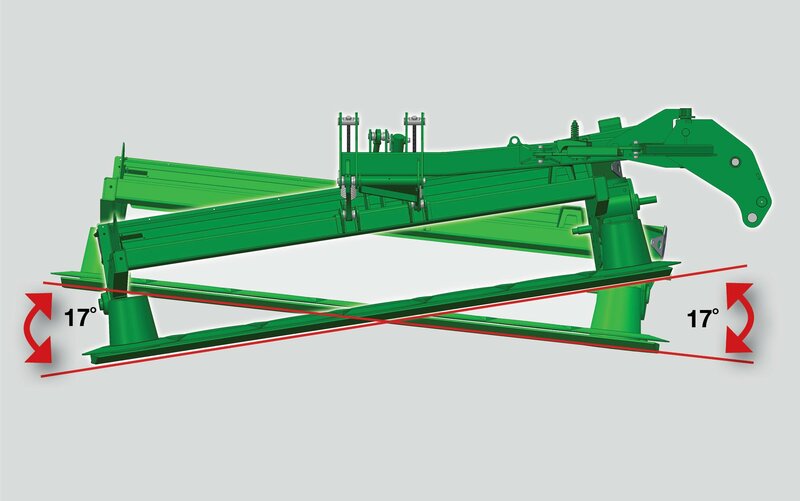 The hydraulic rams integrated into the mower beams shift the cutter bars sideways either together or independently to allow for up to 400mm overlap on each mower. 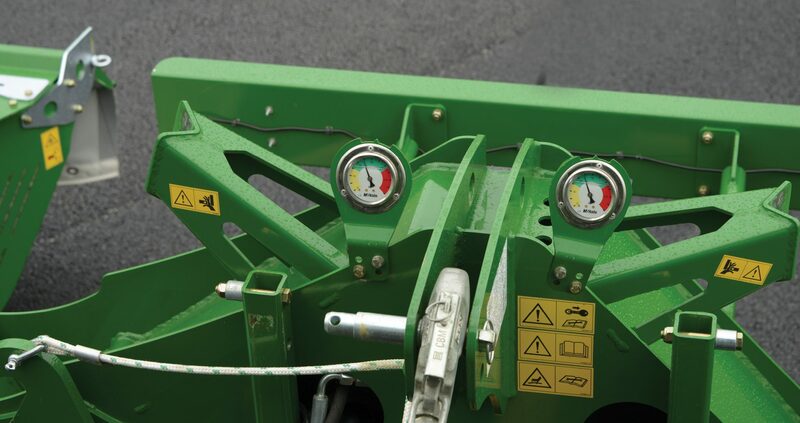 This position allows the mowers to distribute their weight across the tractor for ease of transport on the road while also providing the driver with a clear rear view.